If you are hoping to enhance a sun-kissed glow with your makeup, using bronzer is one way to do so. Bronzer is used by people who want to accentuate their tans or make their skin look more radiant. There are many types and brands of bronzers available. We have reviewed dozens of bronzers in an effort to bring you a list of the best ones out there. We considered the formulations they are available in, how natural they look, and how Amazon users felt about them. Get a natural tan shade with this blendable bronzer. The Whatup Beaches Matte Bronzer by Elizabeth Mott scored the highest points when we put it to the test. This brand is paraben-free and cruelty free, and it will give your skin a beautiful tan glow. The formula is easy to blend and looks natural. 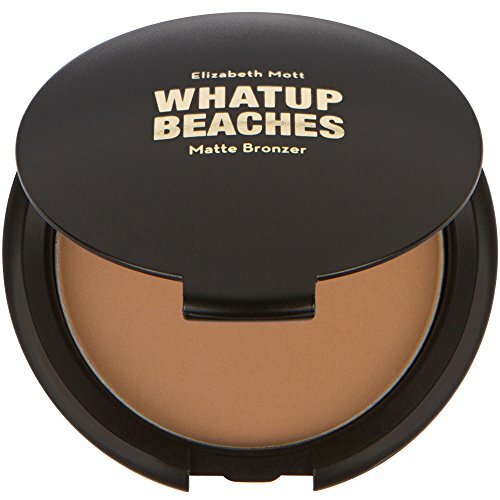 Our clear top pick is Whatup Beaches Matte Bronzer by Elizabeth Mott, a smooth formula that is perfect for contouring and highlighting your cheeks, chin, eyes, and forehead. Anywhere the sun kisses you, you can maximize that radiance by blending on a bit of this bronzer. This is a matte powder that is easy to apply and built up with a makeup brush. You can also smooth it with your fingers if you want to. The color is concentrated, so you only need to use a bit, and it gives you a bronze look without shimmer or shine. This is a great, simple bronzer for any look. Add a bit of shimmer to your bronze glow. Milani Baked Bronzer came in a close second when it came to the best bronzers for 2019. This is a powder bronzer that has a bit of shimmer and shine added to add visual interest and a sparkly glow. Perfect for day or night this bronzer will accentuate your tan any time of year. This bronzer by Milani is good for people with all skin tones, though it will act like a highlighter for those with very dark skin. It does not have an orange undertone, so it will look natural and soft whether you use it with a natural tan or after using fake tanning spray. Try this budget-friendly bronzer for a glowing look. 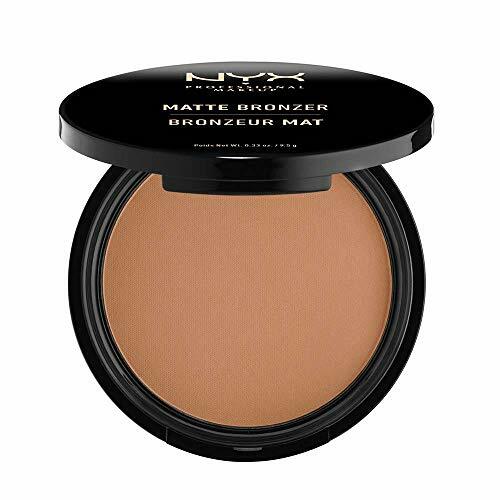 If you are looking for a great bronzer that won’t break your budget, you’ll need to try our top budget pick, NYX PROFESSIONAL MAKEUP Matte Bronzer. It’s inexpensive enough that you can use your makeup brush to add a touch of glow to not only your face but your shoulders and neckline as well. This bronzer is available in four shades, so you can choose the one that will be best for your skin tone. This is a matte powder, so it will help control shine during the dewy days of summer. It blends easily into the skin and is buildable for days that you want a bit more color. Hydrate your skin as you add a radiant bronze glow. 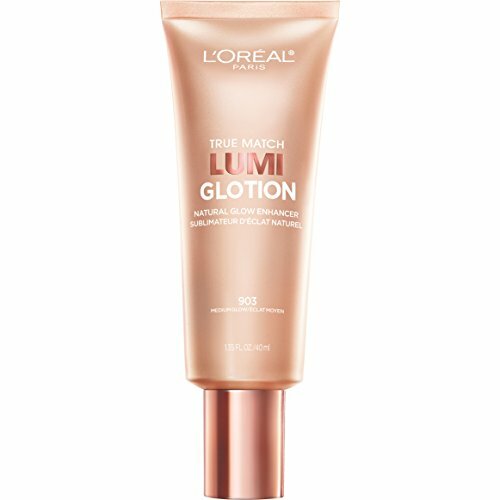 When we looked at bronzers that come in cream formulations, L’Oreal Paris Makeup True Match Lumi Glotion was our top pick. It adds hydration and moisture to skin, creating a glow that feels as great as it looks. Tanning can make your skin dry, so adding the power of shea butter and glycerin really makes a difference. There are four shades available, so you can pick the one that is perfect for your skin color. You can use on bare skin as a tinted moisturizer or put it on after your foundation to make your cheeks and forehead look sun-kissed. You can also order the shade that is a bit lighter than your skin tone to use as a highlighter. This bronzer and highlighter duo will meet all of your contouring needs. When it comes to stick bronzers, the Cocoa Cabana + Hi Tide | 2 in 1 Bronzer + Glo Highlighter Stick made our top spot. 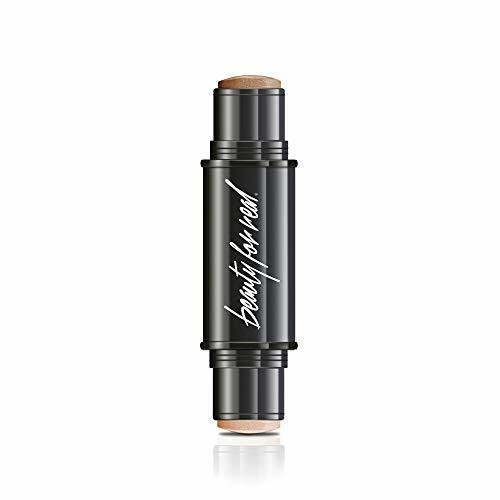 This product has bronzer on one side of the stick and highlighter on the other, allowing you the most flexibility possible when it comes to contouring and getting the look that you want. You can apply it with your fingertips or with a makeup brush or sponge. In addition to making you look radiant, this bronzer contains anti-aging properties that will keep you looking amazing for years to come. This is a vegan and cruelty-free makeup product. Bronzers are for people who want to accentuate their tans. If you have a nice tan, either from the sun, a tanning bed, or a bottle of spray tan, you can use bronzer on the areas that would naturally be impacted more by the sun to make it look radiant. These areas are often the nose, the forehead, and the chin. Some people also use bronzer to complement highlighter, which is a shade lighter than the natural (or tanned) skin tone. Anyone who enjoys using makeup to contour or change their appearance should consider purchasing a good bronzer. Any type of makeup has some considerations that you should keep in mind when making a purchase, and bronzer is no exception. Here’s what to think about as you decide which type of bronzer to buy. Shades available. Some bronzers are made for any skin tone, while others come in several different shades so you can match it to your unique skin coloring. Be sure that the one you are considering comes in a shade that will complement your skin. Formulation. If you have dry skin, you might consider a cream or stick formula, whereas if you have oily skin, a matte powder can control shine while providing that sunny glow. Ingredients. If it is important to you to use vegan makeup products or if you need to avoid a certain ingredient, it’s important to take a look at what is in the bronzer you are considering. What is a bronzer and how does it work? A bronzer is makeup that you use to make certain parts of your skin look a bit darker. Usually, people use a bronzer to accentuate a tan or to make it look like they have been spending some time out in the sun. Bronzers come in several different formulations, including creams, sticks, and powders. They work by adding a matte, shiny, or shimmery layer of color to parts of the face; some can also be used on the shoulders and neck. If it’s winter or you aren’t one for sunbathing, here are our top picks for self-tanners. Is a bronzer used for contouring? Yes, it can be used for contouring. When you wish to contour with a bronzer, you will often use a highlighter, which is makeup that is a shade or two lighter than your natural skin tone, to make some parts of the face seem more prominent. The bronzer will then be used to make other parts seem less prominent. One common way to use th ese two products is to put highlighter on the cheekbones and bronzer in the hollows under the cheekbones, creating a more sculpted look. Check our list of the top contouring kits here. What brush do you use for bronzer? You can apply bronzer with your fingers, a brush, or a makeup sponge. A large brush with a rounded head will allow you to apply the bronzer evenly and to larger areas of your face. If you are contouring, you might want to use a smaller brush for more precise application. How do you use bronzer? You can apply the bronzer to the parts of your face that are naturally kissed by the sun. Usually, these include the forehead, the nose, the chin, and the cheekbones. In some cases, you might choose to apply bronzer to your entire face, such as in the case of using a cream-style bronzer. When used this way, your whole face will have a freshly tanned glow. In addition to the ones that made our top 5, there are a lot of other great bronzers out there. We have reviewed 20 of them in order to offer our readers a large selection to choose from. The information you need to compare them is included with each listing. This finely-milled formula offers buildable coverage in a natural matte finish. Can be layered on top of liquid products. 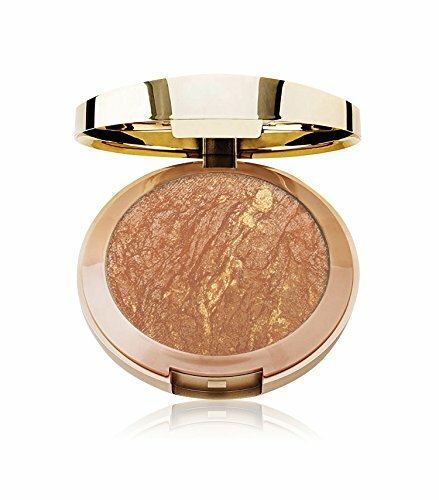 This bronzer can be used all over the face to create a healthy glow. It can be layered on top of other Bare Minerals products. This face-slimming bronzer comes with a brush and makes a great addition to your highlighter to create a beautiful contour. This Clinique bronzer is lightweight and easy to apply on the cheeks and forehead, creating a radiant glow. This luxurious bronzer has a velvety texture and a luminous finish thanks to moisturizers in the powder. This budget-friendly bronzer will fit in your pocket or makeup bag to give you that sun-kissed glow you crave when you are on the go. Achieve a sculpted, sun-kissed glow with this micro-powder that contains whipped cocoa butter for a smooth, flawless look. This multi-colored powder compact will create a shimmering tan that will change with the seasons and your skin tone. This is a gel-style bronzer that will give your face a healthy glow while also providing eight additional benefits, including SPF 25 protection. This creamy bronzer contains murumuru butter for a soft, natural glow. It has the benefits of both a powder and a cream and applies easily. This moisturizing bronzer can be used on the face and body for a gorgeous tan that washes off. Vegan friendly, not tested on animals. Protect your skin with this SPF 18 bronzer while giving your face and body a sun-kissed glow that washes off easily whenever you want. This long-wearing cream-to-powder bronzer stick offers seamless blending and a soft, natural glow. This three-pack of contour sticks offers bronzers that go on smoothly and blend seamlessly. Create different effects easily! This bronzer stick offers a long-lasting, natural glow. It is lightweight and non-sticky for everyday comfort. This is a set of three double-ended contouring sticks that include bronzers and highlighters. Experiment to find great new looks at a budget-friendly price. This bronzing stick combines long-lasting, creamy color with a refreshing cooling feeling. Perfect for warm days! This lightweight formula provides a creamy glow without clogging your pores. Avilable in two shades. This matte bronzing stick provides hydration as well as a deep, sunny glow. Can be used on the face and body. If you are looking for a gluten-free, vegan product that will deliver a bronze glow, this is the product for you.